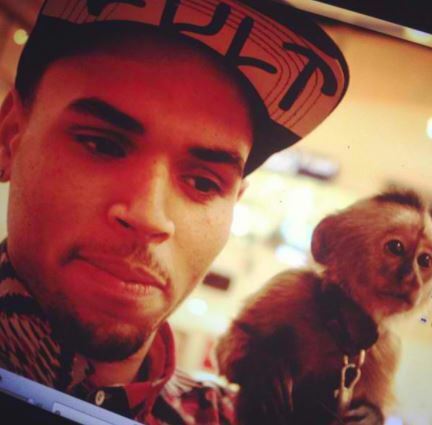 California Fish and Wildlife agents seized Chris Brown’s pet capuchin monkey from his Los Angeles home Friday. Leader of the investigation Capt. Patrick Foy said they discovered that the singer did not have a permit for the animal he named Fiji. Brown posted an Instagram video last month of his 3-year-old daughter, Royalty, cuddling with the pet. But online comments followed, with critics saying the monkey belonged in the wild and that Fiji could be a danger to his daughter. Brown reacted with a “chill out” message at the time, TMZ reported. Foy said the video prompted six calls to the wildlife department from people concerned about the animal. He said Brown agreed to cooperate. Agents executed a search warrant at Brown’s home Jan. 2, Foy said, adding that Brown wasn’t there but had his employees hand over the monkey in a cage. Fiji was sent to an undisclosed facility, while the case has been turned over to the L.A. city attorney. “Now spending taxpayer money on investigating monkey business, this completes the circle on his absurdity,” Brown’s lawyer, Mark Geragos, told TMZ.